Amidst the workload I’ve taken on putting this publishing company together, I’ve been trying to find time to sit down and work on some fiction shorts that I can submit to the company’s upcoming anthology. Finding the time to do so has been more difficult than first perceived, but I do at least have an idea of the stories I want to write out. One of them is a story that has been rolling around in my head for weeks now. 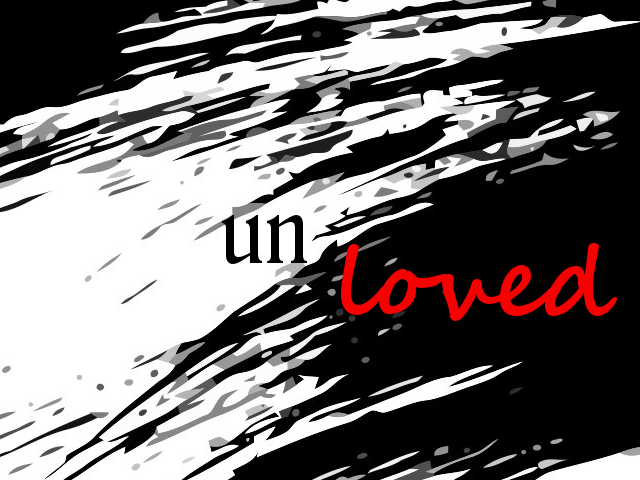 The title of it is unLoved, and from what I gather so far, it’s a story about a girl imprisoned on a space vessel. She’s been beaten and bruised and bullied by the passengers and crew on board, and she’s at the very end of her will to live. The bulk of the story would fall under tragedy, but we’ll see how it ends when I actually write out the draft in the coming weeks. I’m not saying anything more than that. I did however create a spiffy mock cover for it. Nothing too spectacular, but it’s fun to do things like this for some of my writing projects. Makes them a bit more legit, even though they haven’t technically been written yet. The fact that Loved is capitalized should hint to something. It’s a story about torture and abuse, but also about incredible love.